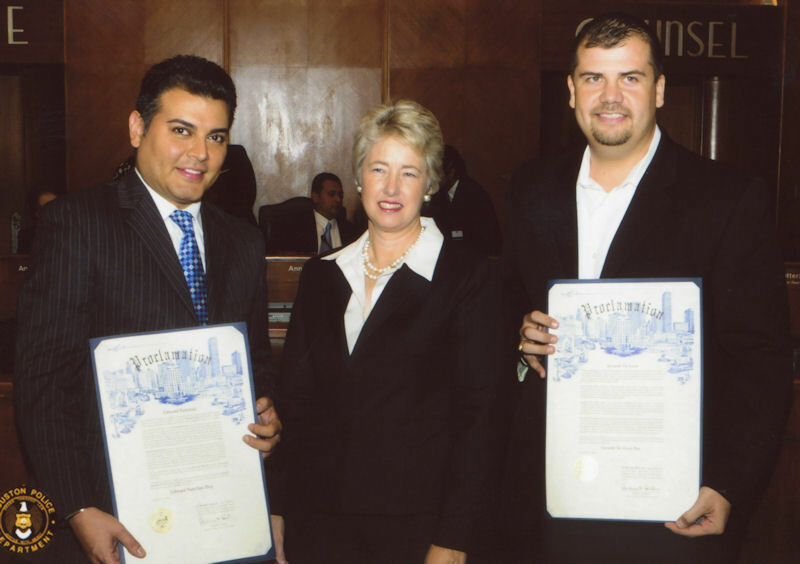 October 6, 2011 -- Mayor Annise Parker and the Mayor's Hispanic Advisory Board (MHAB) will honor five community members with the 2011 Mayor’s Hispanic Heritage Awards (MHHA) as part of Houston's Hispanic Heritage Month celebration. A reception to celebrate the award recipients will take place Thursday, October 6th, at the Houston Aquarium downtown, 410 Bagby, 77002 from 5:30 – 7:30 p.m. The celebration will include music by Mango Punch, and emcees Erik Barajas from ABC 13 and Mariana Pineda from Univision 45. The MHHA recognizes Houstonians who have made significant contributions leading to quality of life improvements in Houston. Award recipients are being recognized throughout Hispanic Heritage Month during City Council meetings. Lifetime Achievement: Richard Farias -- As President and CEO of Tejano Center for Community Concerns, Farias is directly responsible for developing the agency, from a small neighborhood organization to become the 17th largest charitable nonprofit organization in Houston. The programs offered at the Tejano Center have provided educational, social and health services and community development initiatives to thousands of families. Farias' award will be recognized by Houston City Council with a Mayor's Proclamation on October 4th. Community Activist: Edward Sanchez -- A senior cosmetic manager and make-up artist for one of Houston's premier spas by trade, Edward Sanchez continuously collaborates in community initiatives in his spare time. Sanchez has raised millions of dollars for several nonprofit organizations including the AIDS Foundation Houston, the Society for Performing Arts and Citizens for Animal Protection. This year he chaired the World Aids Day luncheon, which raised more than $40,000.00. Sanchez's award was recognized by Houston City Council with a Mayor's Proclamation on September 27th. Education: Luis Cano -- Dr. Luis Cano is one of the most respected educators in Houston regarding Chicano studies. In the 1970's he became the first executive director of the Association for the Advancement of Mexican Americans (AAMA). Additionally, he founded the George I. Sanchez Jr. High School as an alternative for students removed from mainstream education options. Through his work, Dr. Cano has inspired many to become engaged in community service. 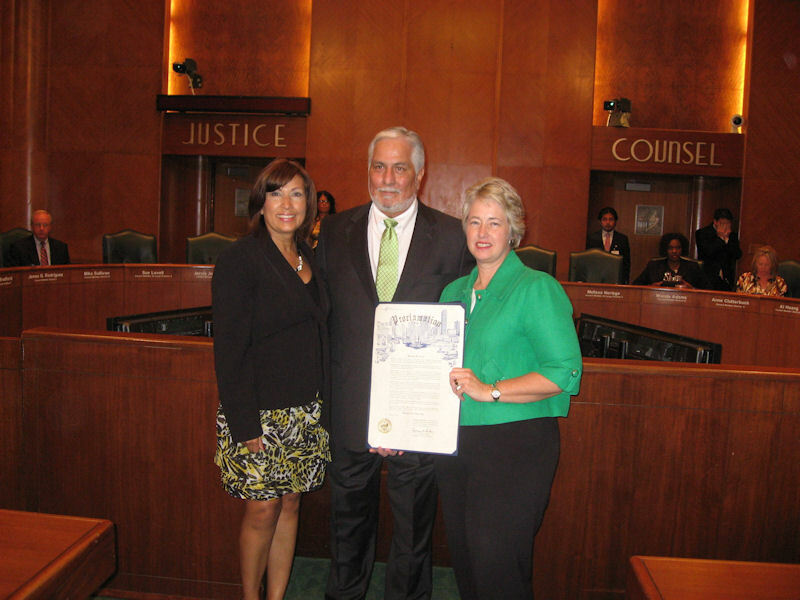 Dr. Cano's award was recognized by Houston City Council with a Mayor's Proclamation on September 27th. Youth Activist: Sonia Lopez -- As Chief of Staff to Representative Ana Hernandez, Sonia Lopez has continued to work towards the improvement of the community. Her principal affiliation is with the National Hispanic Institute (NHI), which teaches leadership skills to youth through debate and other speech activities. For the past ten years, Sonia has served as participant, tournament director, senior counselor and most recently as Project Administrator for the local NHI Chapter. 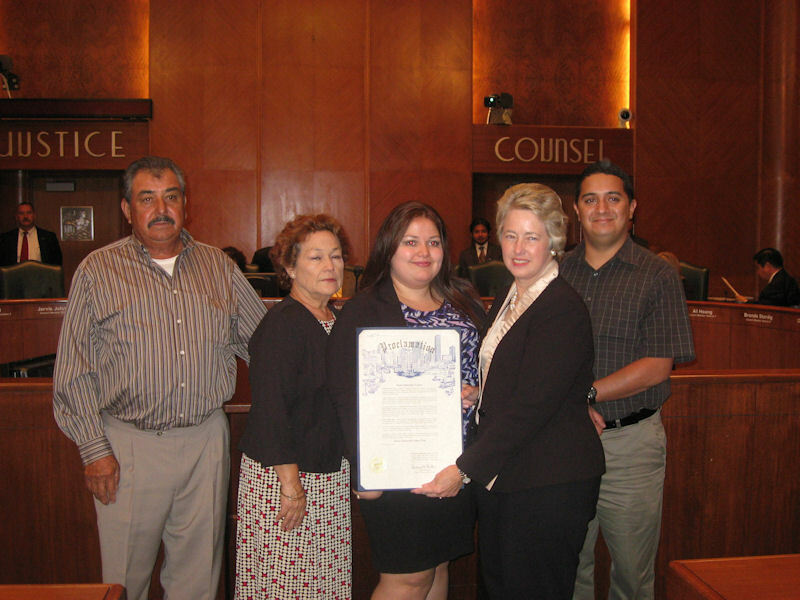 Lopez's award was recognized by Houston City Council with a Mayor's Proclamation on September 27th. Public Safety: Gerardo De Leon -- Gerardo de Leon, or Coach De Leon as he is affectionately known, teaches physical education at Ketelesen Elementary and Davis High School and is also an advocate for the community. He has championed graffiti abatement initiatives and he uses his time and resources to bring important public safety issues to the attention of police. De Leon's award was recognized by Houston City Council with a Mayor's Proclamation on September 20th. In addition, this year the MHAB is featuring local artist Frank Morales and honoring Frank Alvarez and Jesse Campos with posthumous achievement awards. Morales is a Houston-based photographer whose photos of the city of Houston are spotlighted on the Houston Hispanic Heritage website and will be displayed at the awards reception. 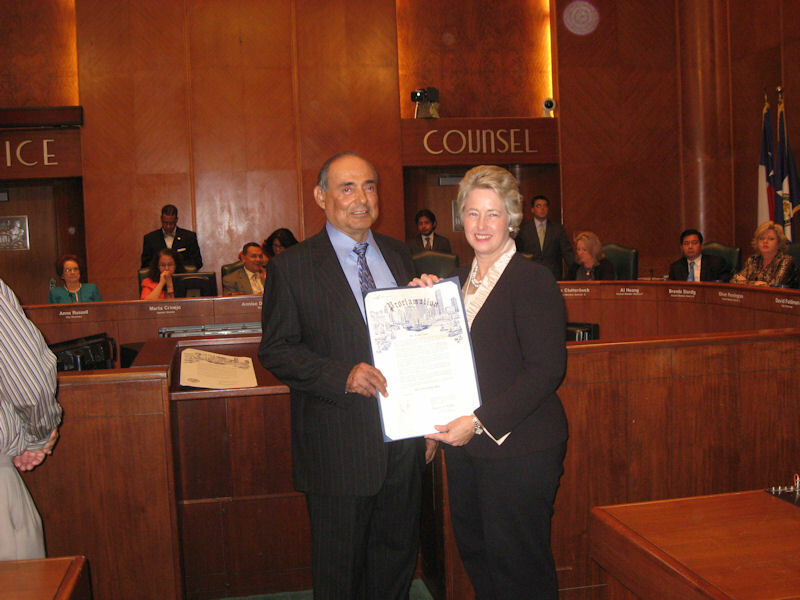 Alvarez served as president of the Mexican American Bar Association of Houston, created a mentorship program at Hogg Middle School, and was a recipient of numerous community awards. Campos was a WWII vet, noted Houston community activist, and Salvation Army volunteer. The Legacy Sponsor of the MHHA program is Shell. Heritage Sponsors are Cafe Diario, Carreño Group, Comcast, Greenberg Traurig, LLP and Navarro Insurance Group. Leadership Circle Sponsors are Amegy Bank, Compean Funeral Home, ELP Enterprise, Inc., Garcia Hamilton & Associates LP, Houston Business Development Inc., LLC Strategies, Rice University, The Port of Houston Authority and UH Center for Mexican American Studies. Friends of Houston Hispanic Heritage Sponsors are Al-fin Photography, De Madres a Madres, Edward Ybarra, Hispanic Women in Leadership, Houston Hispanic Chamber, Lauren Soliz, Lenora Sorola-Pohlman, Lillian Villarreal, Olivia Carbajal, Ramiro Fonseca, Roberto Caballero, Roland Garcia, Talento Bilingue de Houston, Victor Castillo, Yolanda Alvarado and Yolanda Navarro Black. This is the seventh annual MHHA event. For more information on past recipients, visit: https://houstonhispanicheritage.com/.